The Connected Car concept has been the topic of discussion and a goal for most all tech companies, including big names like Google and AT&T who hope to integrate their existing big data into the automotive industry to address both safety and security issues. While they conceptualize and innovate for our transportive futures, what are some of the obstacles they stand to face, and what can we ultimately gain by optimizing cars for individual drivers? I personally advocate public transportation, but in this American age of individualism, companies are scrambling to integrate the computerized user experience into the cars we utilize. Cars generally take longer than smartphones to be conceptualized and built, and this is no different for the connected car concepts that should be projected to last for many years. The innovators must be ready to anticipate system upgrades and new applications hitting the market constantly, like smartphones, instead of the regular automotive trend of five-year increments. 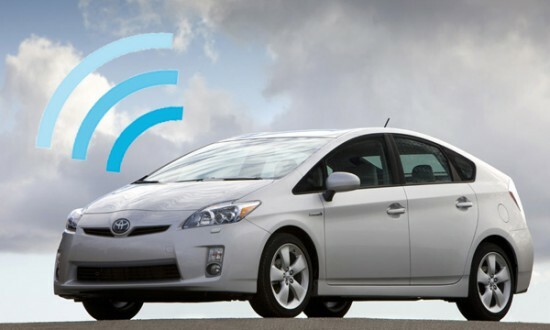 The Connected Car will be integrated with satellite datathat will handle car diagnostics and anticipate and map traffic congestion data to help with route building to optimize your transportation time. User information will be plugged into the car via your smartphone to help to retain data such as your home address and manages calls for emergency services, alerting them to your current location in the event of a serious car crash. In lieu of these new innovations hitting the market will bring about a new car salesman and dealer. The way that these salesmen will have to really explain the benefits of the functionality of the Connected Car will grow as the they come into consumer buying ranges, offering insight to any generation who is interested in buying one of these new car concept models. A great endeavor that some companies, like ZipCar, are going for will be the ability to offer shared car service. Electric vehicles will be able to be parked, charged, and checked out for use by consumers for an hourly, or daily, rate. This will cut down on cost for many families and individuals who do not have space or funds, or a want, for their own motor vehicle. Built-in vs. Brought in Internet connections is another hot debate among car manufacturers, as there are merit to each option. Tethering existing Internet from your smartphone poses the ability for a user to manage their Internet bandwidth, while built-in options offer stronger connections. As these innovations are more and more cutting-edge and, in a way, separate from the purchase of the car itself, one wonders how will these capabilities be paid for?! This calls the idea of rethinking current data models of both the manufacturers and the Internet Service Providers. The want for these abilities in the Connected Car prompt manufacturers to forge bonds with software developers in hopes of satiate consumer connectivity needs. Be on the lookout for new native applications that will help to unlock your doors, find your car’s location, or remotely start your car all from your smartphone, while these manufacturers put their minds with developers and engineers to bring the future of the driving experience to you!